Water scarcity occurs where there are insufficient water resources to satisfy long-term average requirements. 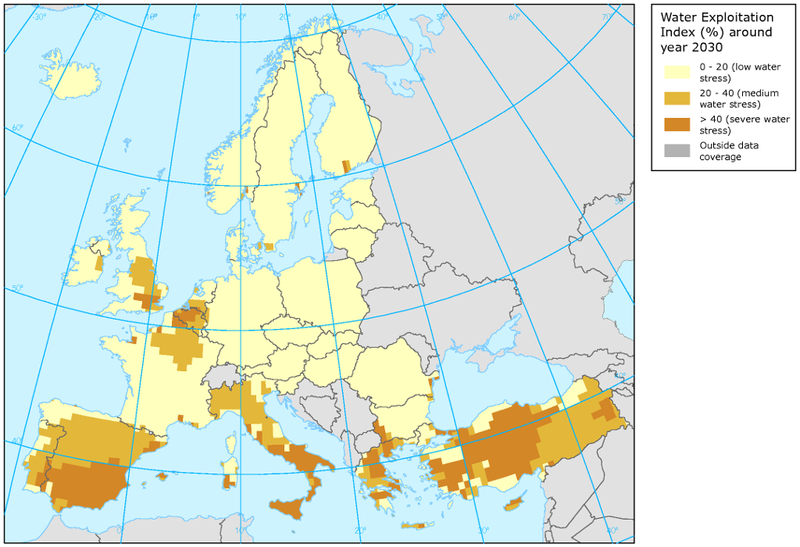 It refers to long-term water imbalances, combining low water availability with a level of water demand exceeding the supply capacity of the natural system (European Environment Agency). Currently the main way of assessing Water Scarcity is by means of the Water Exploitation Index (WEI) applied on different scales (i.e. 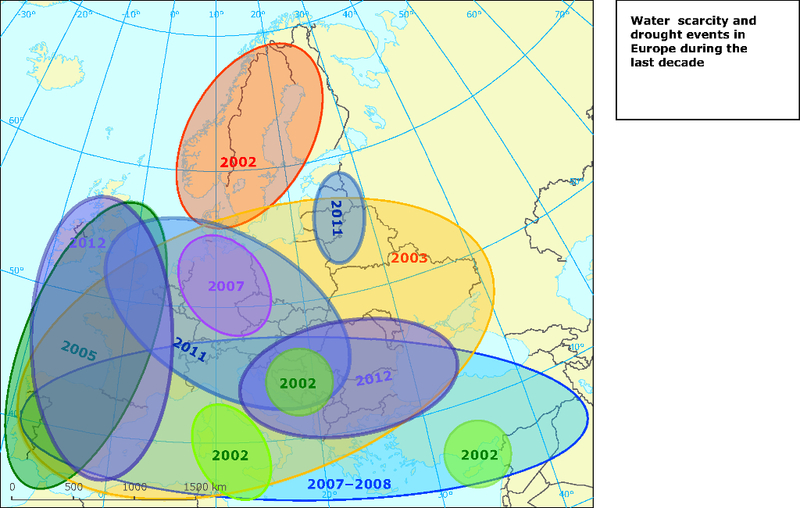 national, river basin).According to the EU Commission water is no longer the problem of a few regions, but now concerns all 500 million Europeans. Moreover, water is a critical resource in domestic consumption and in the development of agriculture, industry and tourism. These activities are closely dependent on the sun and have peak water demand during dry seasons. It requires more and more often resort to the use of non-renewable fossil fuel reserves for desalination of seawater or brackish groundwater. Improving quantitative and qualitative water management, seeking new water resources as well as water treatment efficiency has become an increasing challenge in present times. Reuse of treated wastewater has been proven a reliable alternative water resource, which can constitute a significant component of integrated water resources management and provide an effective solution to cope with water scarcity conditions. Water recycling and reuse should be considered an efficient approach to save costs, recover materials and demonstrate environmental stewardship. In addition, there is a need to change the focus from treating waste water to be ready for disposal, to provide water fit for use and yielding revenues from recovered energy and resources. The Urban Wastewater Treatment Directive (91/271/EEC) requires that “treated wastewater shall be reused whenever appropriate” under the requirement of “minimising the adverse effect on the environment”. On the other hand the Water Framework Directive (WFD) (2000/60/EC) refers, under Annex VI (v) to “emission controls” and under Annex VI(x) to “efficiency and reuse measures, inter alia, promotion of water efficient technologies in industry and water saving techniques for irrigation”. Other recent initiatives such as the Blueprint to Safeguard European Waters (EU Commission, 2012) and the European Innovation Partnership on Water and its Strategic Implementation Plan (EC, 2012) have highlighted the importance of water reuse.